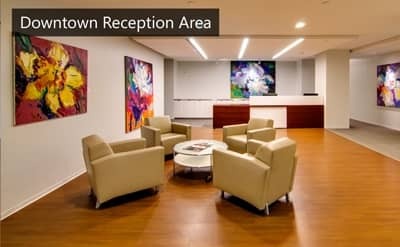 Nowadays, we have seemingly unlimited options when it comes to finding the perfect office space. Physical office space can be one of your company’s biggest expenses, therefore, it is important to start early and determine the needs of your business at present, while also considering the future. Where to start? Consult different resources at your disposal to ensure that you make the best decision for both your company and your employees. Allow yourself enough time to evaluate the needs of your employees and do thorough research of available options in your area. Once you’ve nailed down the finer points of your business plan, real estate brokers/tenant representatives are a good resource to consult when you're ready to find a space. 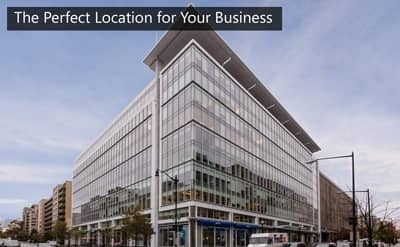 They understand current real estate market conditions for your city and can help you make logical choices that are in keeping with both the nature and needs of your business. This is particularly helpful if you’re trying to set up an office in an area that you may be unfamiliar with. Online reviews and social media are also good resources. These tools can give insight into the quality of the customer service you would receive, building amenities, and current tenant satisfaction. 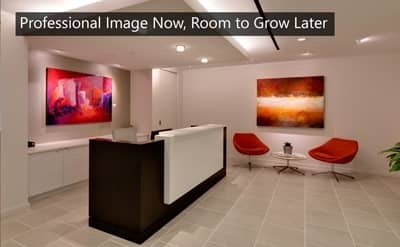 If your startup is relatively new or you plan to grow quickly in the coming year, you may want to consider a short-term or month-to-month lease in order to give yourself room to expand before committing to a space you’ll likely outgrow. If you’re part of a branch of a larger corporation, it’s worth considering the needs of your relocated employees when searching for an office space that provides maximum satisfaction. Is the location reasonable for their respective commutes? Do your workers tend to work from home a fair amount of the time? How important is a dedicated space for meetings with visitors and clients? These are all things to take into consideration as you tour potential office spaces. Once you visit a few options in person, review proposals and think about the advantages of each location. Serviced workspaces are flexible and can more easily work with your business to create a customized option that suits your needs. Location, amenities, price, and room for growth are all important factors to consider before making your final decision. Once you determine which space would be best, your new office center can help coordinate moving logistics. At AdvantEdge, we’ve worked with small and large business alike and are very flexible with our lease conditions. With top of the line amenities and experienced staff, we’ll help you customize a plan that works for your company. For more information on how we can work together and grow with your business, click the button below.